The film is set three years after the original Star Wars. The Galactic Empire, under the leadership of the villainous Darth Vader, is in pursuit of Luke Skywalker and the rest of the Rebel Alliance. While Vader chases a small band of Luke's friends—Han Solo, Princess Leia Organa, and others—across the galaxy, Luke studies the Force under Jedi Master Yoda. But when Vader captures Luke's friends, Luke must decide whether to complete his training and become a full Jedi Knight or to confront Vader and save his comrades. 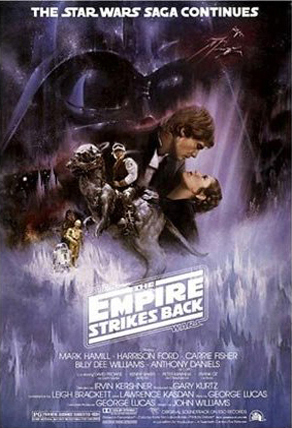 Following a difficult production, The Empire Strikes Back was released on May 21, 1980, and initially received mixed reviews from critics, although it has since grown in esteem, becoming one of the most popular chapters in the Star Wars saga and one of the most highly-rated films in history. It earned more than $538 million worldwide over the original run and several re-releases, making it the highest-grossing film of 1980. When adjusted for inflation, it is the 12th-highest-grossing film in the USA and Canada as of 2012. In 2010, the film was selected for preservation in the National Film Registry by the Library of Congress for being "culturally, historically, and aesthetically significant." Princess Leia now leads a contingent that includes Han Solo and Luke Skywalker in a hidden base on an icy planet of the Hoth system. A probe droid, one of many sent by Darth Vader throughout the galaxy in hopes of finding Luke and the other rebels, lands on Hoth. Luke goes to investigate but is ambushed by a monstrous, furry wampa. While Han Solo searches for him, Luke frees himself from the wampa's cave with his lightsaber but soon succumbs to the freezing temperatures of the snowy wasteland. The spirit of his late mentor, Obi-Wan Kenobi, appears before him and instructs him to go to the planet Dagobah to train under Jedi Master Yoda (voiced by Frank Oz). Han manages to find Luke and uses the warmth of his dead tauntaun mount to keep him alive while they wait to be rescued. Just as Luke recovers, the Imperial fleet, having been alerted to the location of the Rebel base by the probe droid, launches an attack using gigantic AT-AT Walkers. The Rebels mount a strong defense, and Luke brings down a walker single-handedly after his fighter is disabled, but the base is nonetheless captured. Han and Leia escape on the Millennium Falcon with C-3PO and Chewbacca, but their hyperspace drive malfunctions, and they must hide in an asteroid field. Luke escapes with R2-D2 in an X-wing fighter and crash lands on Dagobah. He is soon found by the diminutive Yoda, who at first pretends to be a simple swamp inhabitant in order to test Luke's patience. After conferring with Obi-Wan's spirit, Yoda accepts Luke as his pupil. Han and Leia end their bickering and grow closer, but their courtship is interrupted when they must flee a giant asteroid worm. 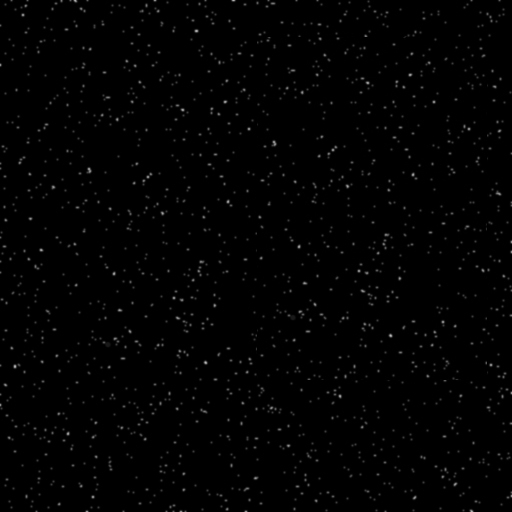 They avoid capture again by attaching the Millennium Falcon directly to the side of a Star Destroyer in Vader's fleet. Frustrated at having lost them, Vader turns to several notorious bounty hunters, including Boba Fett (Jeremy Bulloch, voiced by Jason Wingreen/Temuera Morrison). Meanwhile, Luke begins a brief period of intensive training, during which his power in the Force grows exponentially. He suffers a setback when he fails a test and sees the vision of his own face inside Darth Vader's helmet. Then he becomes troubled by premonitions of Han and Leia in pain and despite Yoda and Obi-Wan's disapprovals, leaves to save them, promising to return to complete his training. Having escaped detection, Han lets his ship float away with the star destroyer's garbage and sets a course for Cloud City, a floating gas mining colony in the skies of the planet Bespin. Boba Fett secretly follows the Millennium Falcon to the planet Bespin and arrives just before Han and Leia. Bespin is run by Han's old friend Lando Calrissian (Billy Dee Williams), but shortly after they arrive he turns them over to Vader to prevent the takeover of his city. Over Lando's objections, Vader uses them as bait to bring Luke into his trap. Vader intends to hold Luke in suspended animation and selects Han as a test subject for the process. Han and Leia profess their love for each other, after which Han is frozen in a block of carbonite. Reneging on his deal with Lando, Vader gives Han's hibernating form to Boba Fett, who plans to present this "prize" to Jabba the Hutt who put a price on Han's head for not paying a debt that he previously owed to Jabba. Lando frees Leia, Chewbacca, and C-3PO, but they are too late to stop Fett from escaping with Han, forcing them to flee in the Falcon without him. Meanwhile, Luke has arrived at Cloud City, as Vader planned. Luke and Vader engage in a lightsaber duel that leads them over the central air shaft of Cloud City. Vader severs Luke's right hand, disarming him, and reveals that he did not kill Luke's father, but actually is Luke's father. Horrified by this fact, Luke refuses Vader's offer to rule the galaxy at his side, choosing instead to throw himself down the air shaft. He slides through a tube system and is ejected but catches onto an antenna under the floating city. He makes a desperate telepathic plea to Leia, who senses it and persuades Lando to return for him. Its hyperdrive finally repaired by R2-D2, the Falcon escapes. Aboard a Rebel medical frigate, Luke is fitted with an artificial hand. As Luke, Leia, R2-D2, and C-3PO look on from the medical center, Lando and Chewbacca set off in the Falcon to rescue Han from Boba Fett and Jabba the Hutt.